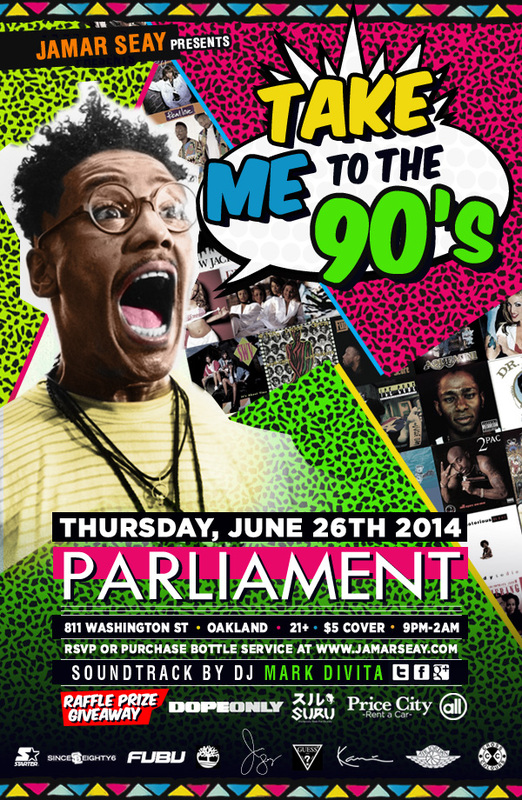 Jamar Seay and Parliament in conjunction with SinceEighty6 present Take Me To The 90’s w DJ Mark DiVita on Thursday June 26th. Raffle Prize Giveaways featuring Monster, Dope Only, Suru, Price City Rental Cars and more. Nestled inside Old Oakland’s historic neighborhood of tree lined and lit streets, paved-brick sidewalks and Victorian era architecture, Parliament offers a vibrant upscale and versatile event space to Old Oakland. Corporate, private and holiday events to photo, film and commercial shoots no event is too small. The intimate and chic bar is stocked with a full array of premium spirits, domestic & imported beers and house-crafted cocktails to match any pallet. Parliament’s warm, sophisticated decor conceals club-quality intelligent lighting and showcases an Opus state of the art audio sound system, thus making Parliament a perfect fit for all occasions.